Platoons of self-driving lorries will be trialled on England's motorways, the Department for Transport has announced. 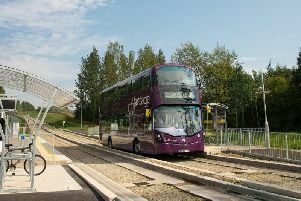 Transport minister Paul Maynard said: "We are investing in technology that will improve people's lives. "A three-truck platoon is longer than half a Premier League football pitch," he said. "We all want to promote fuel efficiency and reduced congestion but we are not yet convinced that lorry platooning on UK motorways is the way to go about it. "We have some of the busiest motorways in Europe with many more exits and entries. Platooning may work on the miles of deserted freeways in Arizona or Nevada but this is not America."